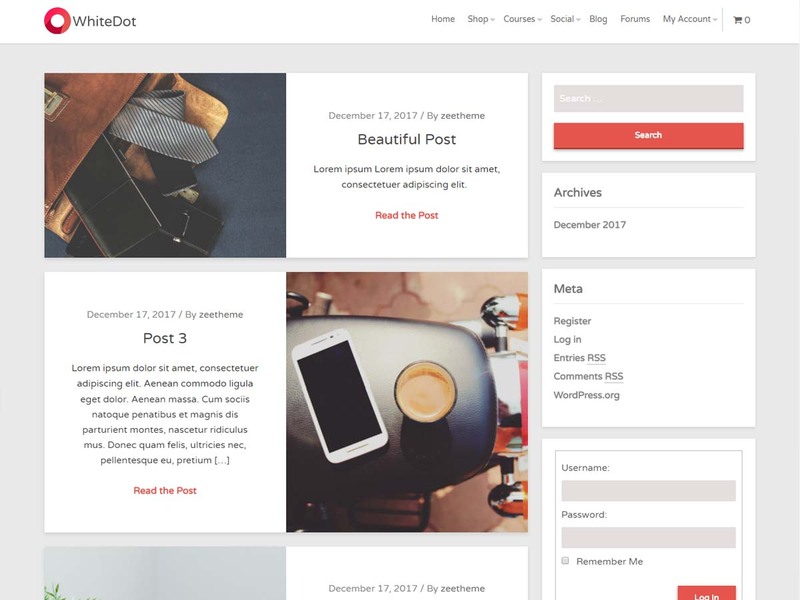 Experience the perfection in design of this Responsive, Fast and SEO-Friendly WordPress Theme.WhiteDot is free and Open Source WordPress theme offering deep integration with WordPress page builders and major plugins like WooCommerce, LifterLMS and bbPress. 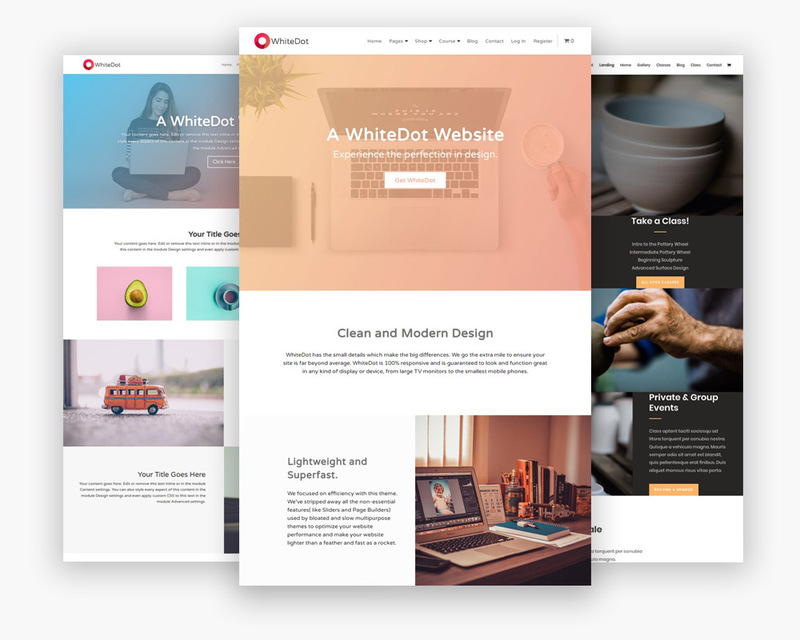 WhiteDot is 100% free and Open Source WordPress theme offering deep integration with WordPress page builders and major plugins like WooCommerce, LifterLMS and bbPress. We focused on efficiency with this theme. 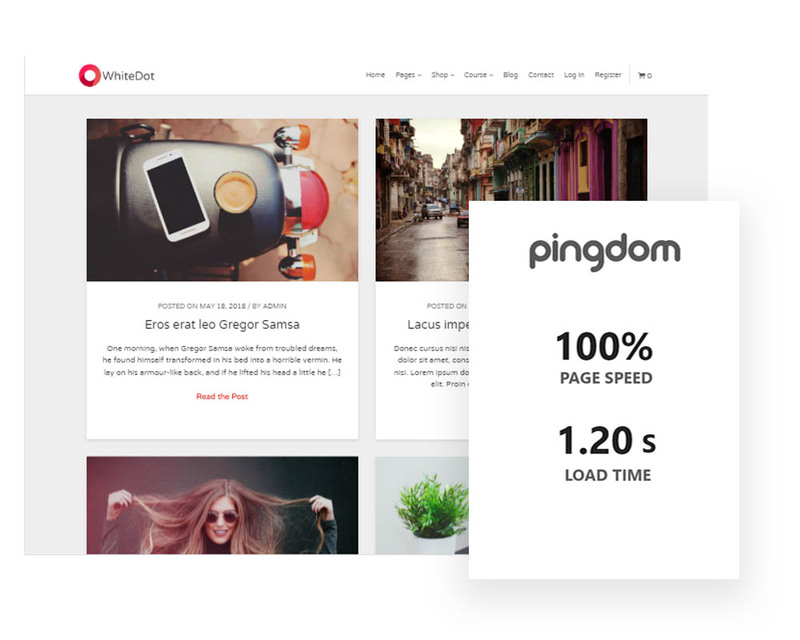 We’ve stripped away all the non-essential features( like Sliders and Page Builders) used by bloated and slow multipurpose themes to optimize your website performance and make your website lighter than a feather and fast as a rocket. WhiteDot has the small details which make the big differences. We go the extra mile to ensure your site is far beyond average. WhiteDot is 100% responsive and is guaranteed to look and function great in any kind of display or device, from large TV monitors to the smallest mobile phones. 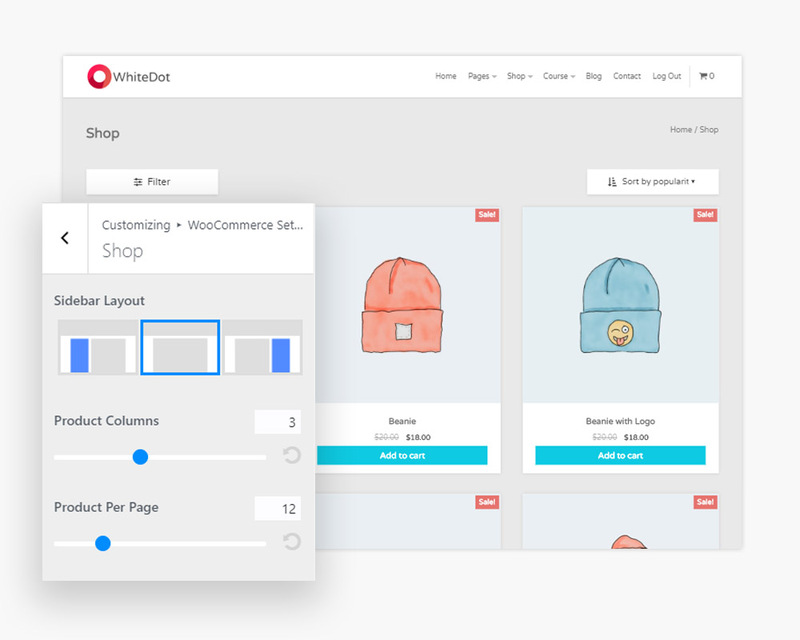 WhiteDot has tons of customizer options which gives you full control over your website. You can customize the way your website looks, and see the changes in real time. You can adjust the colors, the design details, page layout and much more. Are you using a page builder like Beaver Builder, Divi or Elementor on your WordPress website? 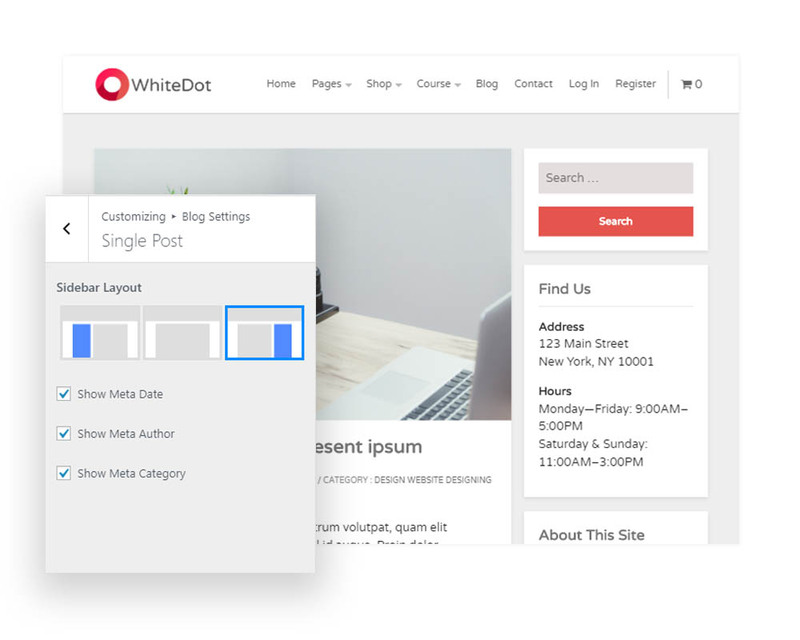 Well, WhiteDot was designed to work with Page Builders. This theme is deeply integrated with all major Page Builder Plugins. The default design of LifterLMS is kinda Default, Right? Do you want more control over the design of your LMS website? Are you looking for the best for LifterLMS? Well, Here is it. WhiteDot was made for LifterLMS. 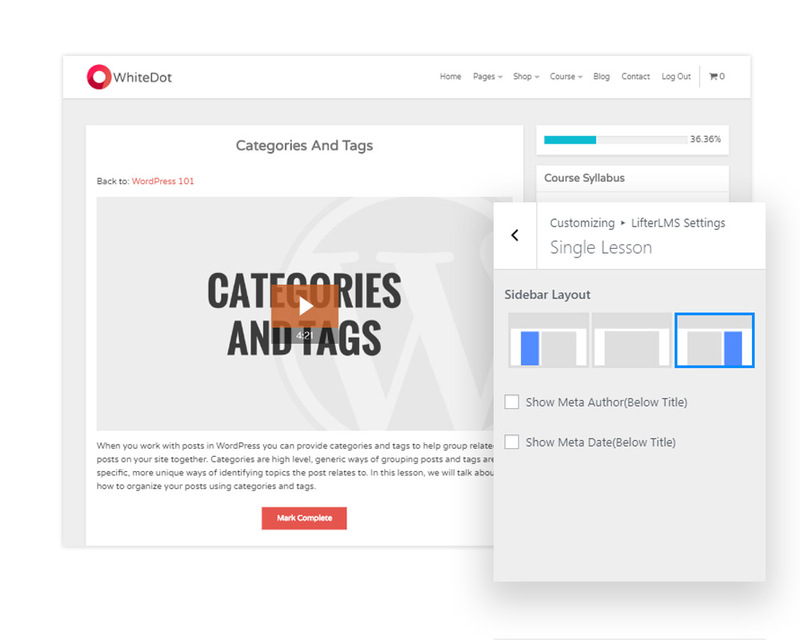 WhiteDot makes your LifterLMS layouts look beautiful and professional out of the box! Furthermore, with tons of options in the Customizer for LifterLMS, you will get complete control over the appearance of LifterLMS. Are you looking for the best theme to use for your WooCommerce online store? WhiteDot is the perfect theme for that. It is deeply integrated to WooCommerce. Your store will look gorgeous out of the box! And we give you complete control over the design of your store with countless customization options. Need More Reasons to Love WhiteDot? Are you a developer? Then you are going to love WhiteDot. With tons of hooks and filters, it is the perfect lightweight WordPress theme for your next project.